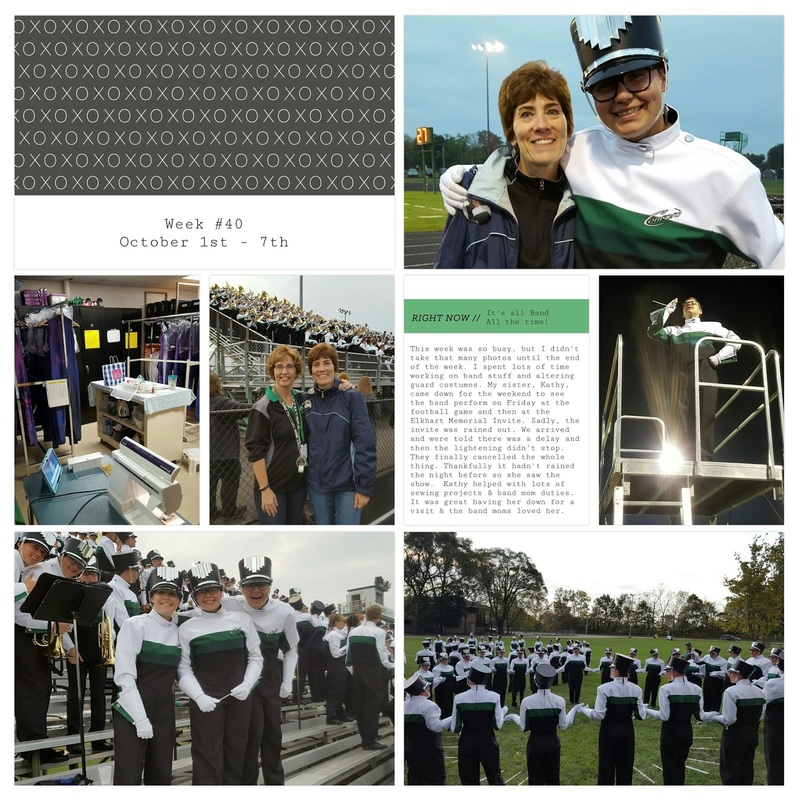 Another great week and another week of band, band, and more band! This has been our life for the past 7 years and it's the last season with Concord Marching Band. Next fall will look very different, that's for sure! For this page, I used 2 cards from the Project 52 ~ Fresh Edition. The cards I used to highlight our band activities are super simple, but I felt like they summed up the week very well.